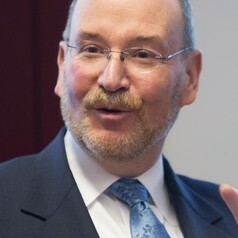 Jerry Davis is the Gilbert and Ruth Whitaker Professor of Business Administration and Associate Dean for Business+Impact at the Ross School of Business and Professor of Sociology, The University of Michigan. Davis received his PhD from the Graduate School of Business at Stanford University. His books include Social Movements and Organization Theory (with Doug McAdam, W. Richard Scott, and Mayer N. Zald); Organizations and Organizing (with W. Richard Scott); Managed By the Markets: How Finance Reshaped America; and Changing your Company from the Inside Out: A Guide for Social Intrapreneurs (with Chris White). Davis has published widely in management, sociology, and finance. Davis’s research is broadly concerned with corporate governance, finance and society, and new forms of organizations. Recent writings examine how ideas about corporate social responsibility have evolved to meet changes in the structures and geographic footprint of multinational corporations; whether "shareholder capitalism" is still a viable model for economic development; how income inequality in an economy is related to corporate size and structure; why theories about organizations do (or do not) progress; how architecture shapes social networks and innovation in organizations; why stock markets spread to some countries and not others; and whether there exist viable organizational alternatives to shareholder-owned corporations in the United States. His latest book is The Vanishing American Corporation: Navigating the Hazards of a New Economy (Berrett-Koehler, 2016).